New painting/first painting of 2015- "Hyacinthus"
The first painting for 2015 I have painted for Brass Bell's 4th Anniversary Show coming up January 3rd and 4th, this weekend here in Oklahoma City. Hyacinth in Greek mythology was a lover of Apollo and opponent of Zephyr, the West Wind... he was also beautiful and that was a cause for contention between them, and according to literary myth, Zephyr killed Hyacinth. But, Apollo made the hyacinth flowers from his spilled blood in the legend. 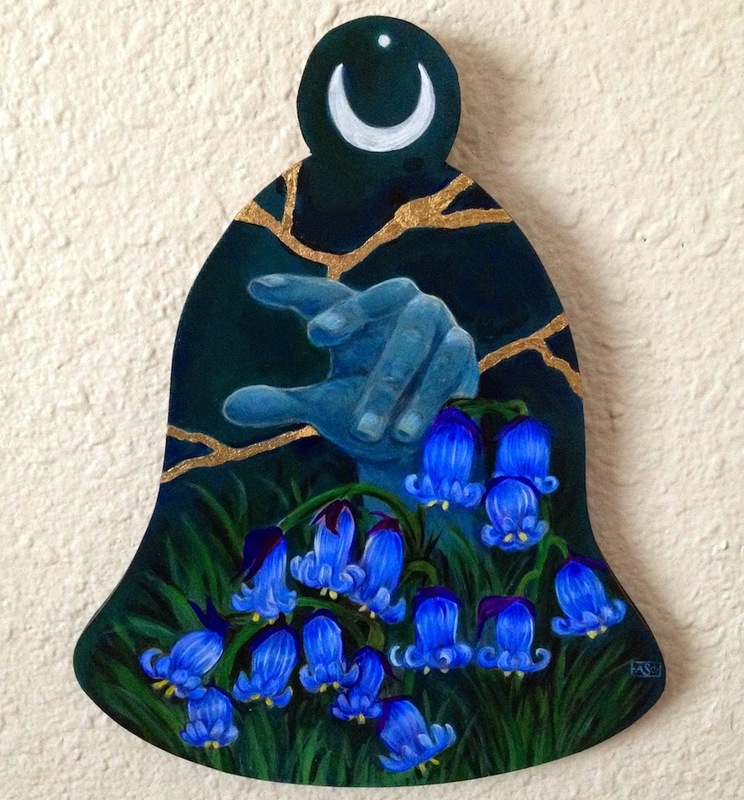 Hyancinthiodes are the bluebell genus, and for my interpretation of the bell theme I have incorporated floral and mythological elements into the piece.